You should not give up if the insurance company denies your claim for long-term disability (LTD) benefits. Most LTD insurance policies require one or two internal administrative appeals. It may seem unlikely that the same insurance company that denied your claim will suddenly change its mind and approve you on appeal. However, the appeals are evaluated by different claims handler at each level of appeal and the new claims handler may just disagree with the denial. Many claimants receive benefits during this appeals process. If your LTD plan is a group disability plan provided by your employer, you are required under federal ERISA law to file all required appeals with the insurance company and “exhaust” all of your administrative appeals before filing a lawsuit against the insurance company in federal court. Even if you purchased an individual disability insurance plan not governed by federal law, you may not be required to file administrative appeals. 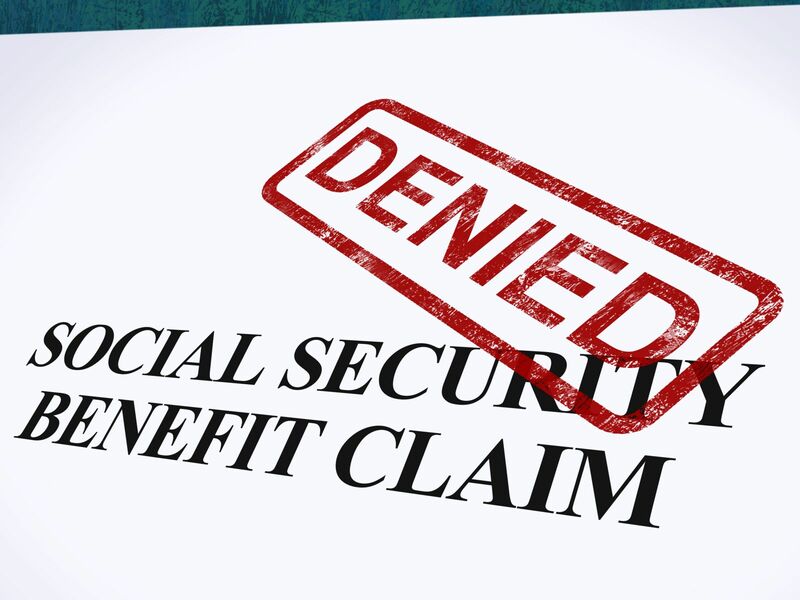 You should consult with an experienced attorney to discuss whether it is in your best interest to file an appeal after the denial of an individual disability plan claim. Your denial letter should specify why your claim was denied and how to file an appeal. Pay close attention to the reasons given for the denial so you can determine how you proceed with your appeal. For example, if you were denied because the insurance company stated your claim file lacks “objective documentation”, you would want to submit additional CT-Scans, x-rays or MRIs. The denial letter should identify the deadline to file an appeal and explain where to file your administrative appeal. If you miss the deadline or filed the appeal in the wrong place, then the insurer may deny your claim. In short, make sure that all your paperwork is submitted on time. Your insurer must give you at least 60 days to file an appeal under federal law, but many LTD policies allow 180 days to file an appeal. One of the first things you should do after your receive a disability denial letter from the insurance company is to request a copy of your claim file in writing from your LTD insurance company. In accordance with federal law, the insurance company is required to provide you with a free copy of your entire claim file if your claim has been denied or terminated. The vast majority of employer-provided LTD policies are subject to a federal law known as ERISA, which is short for the Employee Retirement Income Security Act. Under ERISA, once you’ve exhausted all your administrative appeals, the administrative “record” in your case is closed. In other words, if you file a lawsuit against the insurance company in federal court, the judge will be limited to considering only the evidence that was in your claim file at the time the claims handler issued his or her decision. That means you should “pack” or “stack” the record with favorable evidence during the administrative appeals process. What kind of additional evidence should you submit? First, you should index the entire claim file to make sure that your file already contains all your relevant medical records. Your medical evidence should include all physician treatment notes, radiology and surgical reports, and emergency room records. If any records are missing, you need to obtain the missing records and submit them to your insurance company via certified mail for consideration. You should also try to obtain an opinion from your doctor that identifies your residual functional capacity (RFC) with respect to your physical and/or mental limitations. The physician can set forth opinions in a “To Whom It May Concern” letter or in an Attending Physician Statement (also called a Medical Source Statement or RFC Form). The doctor should specifically identify your diagnoses, your resulting impairments and how the impairments affect your daily activities. It is useless for the doctor to write a note that makes simple, conclusory statements like, “This patient is disabled. Please give him/her all appropriate accommodations”. It is not necessary for the doctor to state that he or she thinks you’re “disabled.” It is more important for the doctor to identify your level of impairment. If your doctor is not willing to help with your case, you should seriously consider finding a new one who is willing to help. Third-party statements from friends and family members can also be beneficial in the appeal process. These statements should not give their opinions as to your medical issues or conclude that you are disabled. Instead, third party statements should focus on their first-hand observations. For instance, if your spouse has to help you get dressed in the morning or showering because you have difficulty doing these things on your own, he or she should include such details in a letter to the insurance company. Your insurer’s definition of “disability” in your long term disability policy can make a big difference in your case. Some policies define disability as the inability to perform any occupation, while others state you are disabled under the policy if you cannot perform the material duties of your own occupation. You can usually determine how the insurance policy defines disability in your policy’s summary plan description, the insurance company’s denial letter, or in the insurance policy itself. As a general proposition, it is best to hire an attorney as early in the appeal process as possible. Insurance company adjusters are trained on how to deny claims. They are much more familiar with the application and appeal process. Adjusters will not hesitate to use your unfamiliarity with the disability claims process against you. One missed deadline may keep you from ever being able to enforce your rights and may keep you from ever obtaining any benefits. Having an experienced LTD ERISA attorney on your side vastly improves your chances of receiving some or all of your benefits. Mr. Ortiz is an experienced long term disability attorney. He understands how to communicate with the insurance company, the procedural requirements of the appeals process, and what kind of medical evidence you should submit with your submit. Call 850-308-7833 for a free case evaluation.